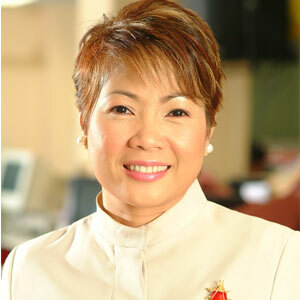 ABS-CBN Head of News Production and CurrentAffairs LuchiCruz-Valdes wins in her case against GMA-7's injunction and breach-of-contract lawsuit filed against her way back in 2002. The QuezonCity Regional Trial Court has junked the breach-of-contract suit by GMA NetworkInc. against Ms. Luchi Cruz-Valdes, ABS-CBN Head of News Production and CurrentAffairs. The issuebetween Ms. Valdes and GMA-7 escalated after her resignation from the KapusoNetwork led to an injunction case filed against her and ABS-CBN, and a breach-of-contract case. The case filed by GMA-7 prevented her from working in ABS-CBNfor about eight months, from December 28, 2001 to August 20, 2002. Thecourt also dismissed the Tortious Interference complaint by the Kapuso Networkagainst ABS-CBN. A "Tortious Interference" occurs when a persondisrupts something that belongs to someone else—for example, interfering with acontractual relationship so that one party fails to deliver on time. In her decision, Judge Marilyn Villordon said Ms. Valdes's resignation from GMA-7was in accordance with the law and that GMA-7 clearly accepted it. JudgeVillordon likewise ruled that ABS-CBN did not induce Ms. Valdes to violate hercontract with GMA-7. The court has ordered GMA-7 to pay Ms. Valdes damages equivalent to the salaryshe should have earned when she was prevented from working at ABS-CBN. At press time, PEP is still waiting for the side of GMA-7 regarding this case, which has been going on for almost seven years.